Yesterday we went to the headquarters of Nadia’s aunt, Silvia Chavez. She is a fashion designer here in Santa Cruz. 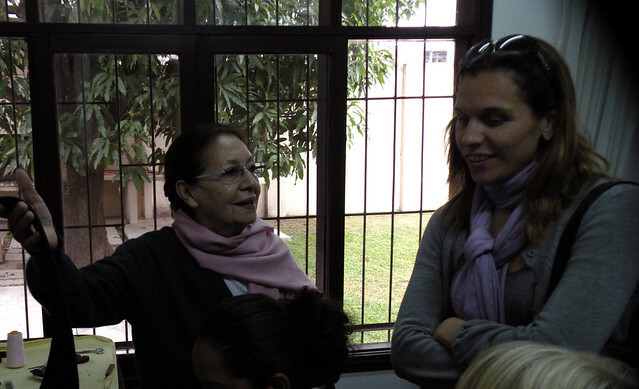 Aunt Silvia is one of the big designers in Bolivia, and is still going strong at 75 years old. She grew up on a sugar cane plantation and ranch north of the city and was inspired at an early age with nature. She lived in the capital La Paz for 8 years where she was head designer for the diplomatic community, including a couple of presidents. She also worked in the USA for 25 years before recently coming back to Bolivia. She had a show “Volver” of her latest collection last spring at the Country Club. 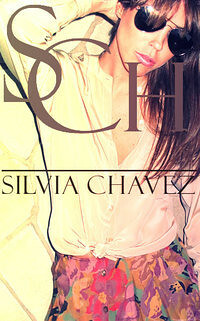 Silvia is known for her classic, feminine designs. We stopped by the office to see her and her employees were quite busy. She took time out to show Nadia how to make a “rosca” her favorite Bolivian pastry. She always has time for us and adores the kids, especially Ocean.